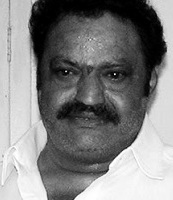 Telugu Desam Party Member of Parliament and son of N T Rama Rao, N Harikrishna on Thursday resigned from Rajya Sabha in protest against the decision to bifurcate Andhra Pradesh. Harikrishna, 57, said he met Rajya Sabha Chairman M Hamid Ansari on Thursday morning and submitted his resignation. Deputy Chairman P J Kurien informed the House that the chairman has accepted his resignation. Talking to PTI, Harikrishna alleged that the decision to bifurcate the state was taken to reap political benefit in favour of Congress in the coming Lok Sabha elections. "By this decision, they (Congress) killed the Telugu spirit. They did it to make Rahul Gandhi next prime minister after the Lok Sabha polls," he said. Striking an emotive note, Harikrishna, son of Andhra Pradesh Chief Minister N T Rama Rao, recalled the steps taken by his late father to keep the state united. "My father stood firmly for the cause of united Andhra Pradesh. Now it is shattered. My conscience would not allow me to continue (as Rajya Sabha MP)," he said. The TDP leader, who had announced his resignation few days back, had alleged that the Congress leadership announced the division without resolving the crucial issues such as water sharing.